I am in Boston to attend the world premiere adaptation of Disney’s The Jungle Book, which began previews on September 7, and opens tonight on the Huntington’s main stage, the Avenue of the Arts / BU Theatre. Tickets are available online at huntingtontheatre.org, by phone at 617 266 0800, and in person at the Avenue of the Arts / BU Theatre and South End / Calderwood Pavilion box offices. Twice extended, The Jungle Book will close on October 20, 2013. 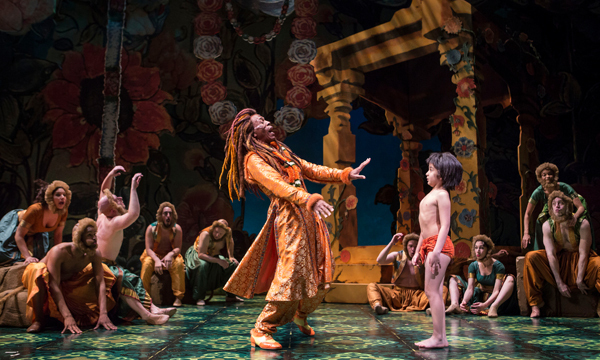 The “inventive and visually stunning” (Entertainment Weekly) production, wholly reimagined for the stage by Tony Award winner Mary Zimmerman (Candide) is based on Nobel Laureate Rudyard Kipling’s 1893 collection of stories set in the Indian jungle and Walt Disney’s 1967 animated film. Zimmerman’s adaptation is a music-and movement-filled adventure of young Mowgli’s coming-of-age in the animal kingdom featuring the movie’s best-loved songs in wholly new Indian-inspired arrangements. Legendary Academy Award and Grammy winner Richard M. Sherman — whose numerous songwriting credits with brother Robert B. Sherman include the motion pictures The Jungle Book, Mary Poppins, Chitty Chitty Bang Bang and The AristoCats — collaborates on this production, providing Music Director Doug Peck access and permission to adapt songs that Sherman and his brother wrote for the film, plus never-before-heard material. Tony Award-winning choreographer Christopher Gattelli with Indian dance consultant Hema Rajagopalan combine elements of classical Indian dance forms with jazz, tap, and more to enhance the storytelling. 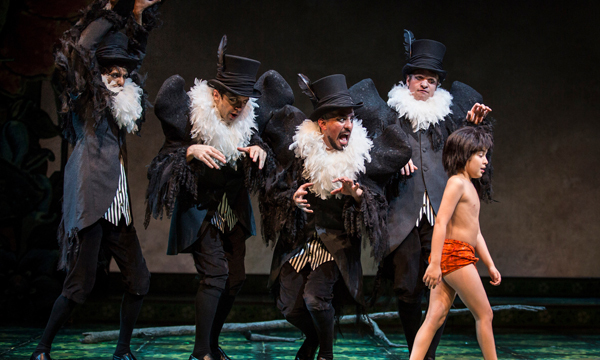 The Jungle Book transfers from and is produced in association with Chicago’s Goodman Theatre where it was extended three times due to popular demand and is the company’s highest attended musical production in its history. The Huntington production features the entire original cast including Two-time Tony Award nominee André De Shields (Full Monty, Play On!, Ain’t Misbehavin’, The Wiz) as King Louie, Kevin Carolan as Baloo, Larry Yando (Candide) as Shere Kahn, Thomas Derrah (Ma Rainey’s Black Bottom) as Kaa, and Akash Chopra and Roni Akurati as Mowgli. See below for full cast information. Eight original musicians are joined by four Boston musicians to comprise the jazz/Indian band of twelve. Zimmerman’s creative team from Candidereunites, with scenic design by Daniel Ostling, costume design by Mara Blumenfeld, and lighting design by T.J. Gerkens. Joshua Horvath, Ray Nardelli, and Andre J. Pluess provide the sound design. Production stage manager is M. William Shiner. Stage managers are Katie Most and Jeremiah Mullane. in person at the Box Offices at the Avenue of the Arts / BU Theatre (264 Huntington Avenue) and South End / Calderwood Pavilion at the BCA (527 Tremont Street). Recipient of the 2013 Regional Theatre Tony Award and named Best of Boston 2013 by Boston magazine, the Huntington Theatre Company has developed into Boston’s leading professional theatre and one of the region’s premiere cultural assets since its founding in 1982. Bringing together superb local and national talent, the Huntington produces a mix of groundbreaking new works and classics made current to create award-winning productions, runs nationally renowned programs in education and new play development, and serves the local theatre community through its operation of the Calderwood Pavilion at the BCA. Under the direction of Artistic Director Peter DuBois and Managing Director Michael Maso and in residence at Boston University, the Huntington cultivates, celebrates, and champions theatre as an art form. For more information, visit huntingtontheatre.org. 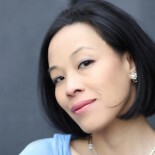 Disney Theatrical Productions proudly partners with Goodman Theatre and the Huntington Theatre Company to bring Mary Zimmerman’s vision to theatrical life. A division of The Walt Disney Studios, DTP was formed in 1994 and operates under the direction of Thomas Schumacher. With 15 productions currently produced or licensed, a Disney musical is being performed professionally somewhere on the planet virtually every hour of the day. Worldwide, its eight Broadway titles have been seen by over 124 million theatergoers and have, cumulatively, run a staggering 195 years. The company’s inaugural production, Beauty and the Beast, opened in 1994, playing a remarkable 13 year Broadway run and produced in 28 countries worldwide. In November 1997, Disney opened The Lion King, which received six 1998 Tony® Awards including Best Musical and is now the highest grossing show in Broadway history. In its 16th smash year, it has welcomed over 70 million visitors worldwide and can currently be seen on Broadway; on tour across North America, the U.K., and Japan; and in London’s West End, Hamburg, Tokyo, Madrid, and Sao Paulo. Elton John and Tim Rice’s Aida opened on Broadway next, winning four 2000 Tony® Awards and spawning productions around the world. Mary Poppins, a co-production with Cameron Mackintosh, opened in London in 2004 and established itself as one of the biggest stage musical successes to emerge in recent years, playing more than six years on Broadway and produced around the world. Tarzan®, which opened on Broadway in 2006, is now an international hit with an award-winning production in its sixth year in Germany. In January 2008, The Little Mermaid opened on Broadway and was the #1-selling new musical of that year. 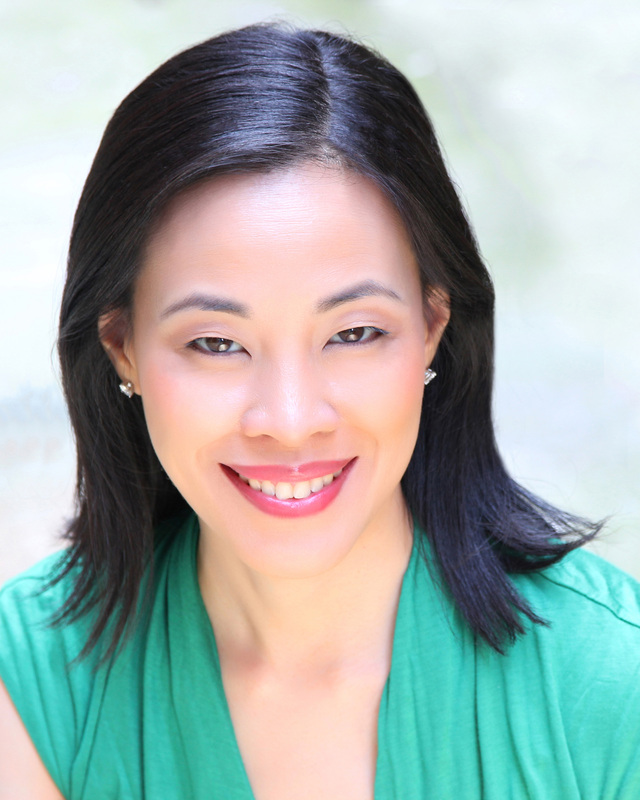 Its success continues with regional productions across the US and new productions on three other continents. Newsies and Peter and the Starcatcher, its two most recent Broadway productions, received seven 2012 Tony® Awards between them and continue their smash New York City runs. In addition, DTP licenses stage performance rights to more than a dozen Disney musicals around the world through Music Theatre International. Its new musical, Aladdin, will open in Toronto in fall 2013. * Akash Chopra is appearing with the permission of Actors’ Equity Association. This entry was posted on September 18, 2013 by Lia Chang in African American Artists, Asian American Artists, Entertainment, Music, Theater, Travel and tagged Akash Chopra as Mowgli, Alka Nayyar, Andre De Shields, Anjali Bhimani, Backstage Pass with Lia Chang, Ed Kross, Elena Flores, Geoff Packard, Glory Curda, Goodman theatre, Govind Kumar, Indian jungle, Jeremy Duvall, Kevin Carolan, Larry Yando, Lia Chang, Mary Zimmerman, Monique Haley, Nehal Joshi, Nikka Graff Lanzarone, The Huntington Rudyard Kipling’s, The Jungle Book, Thomas Derrah, Timothy Wilson, Usman Ally, Victor Wisehart, Walt Disney.